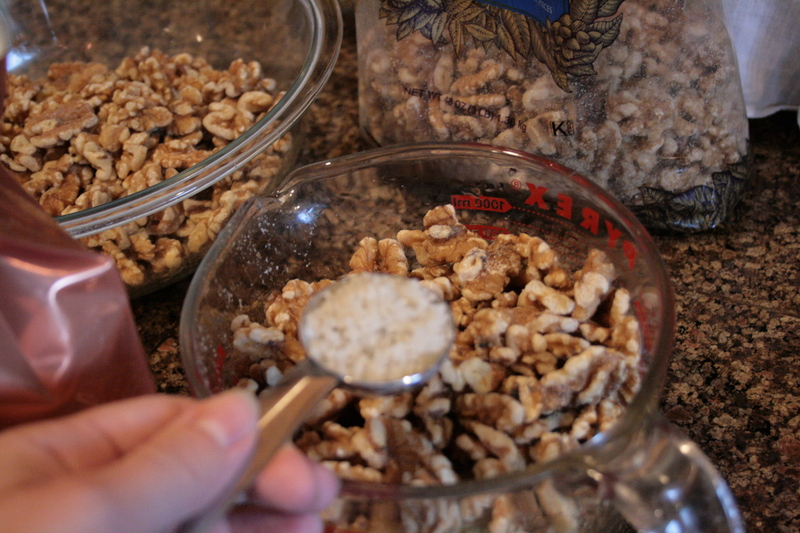 Put 4 cups walnuts into a glass bowl. I’m doing 2 batches here. Add a heaping tsp. of sea salt to the nuts. Cover with purified water. Let sit for 24 hours on the countertop. 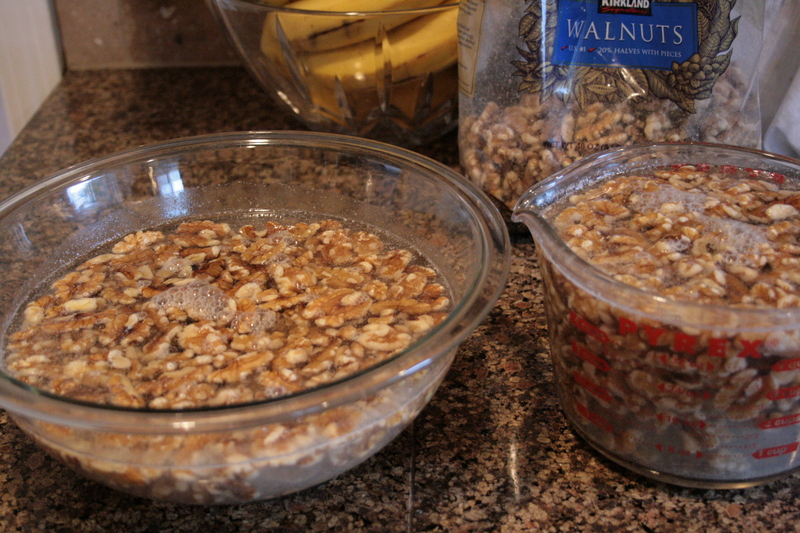 This allows the nuts to soak up the salt water, which breaks down the phytic acid in them. 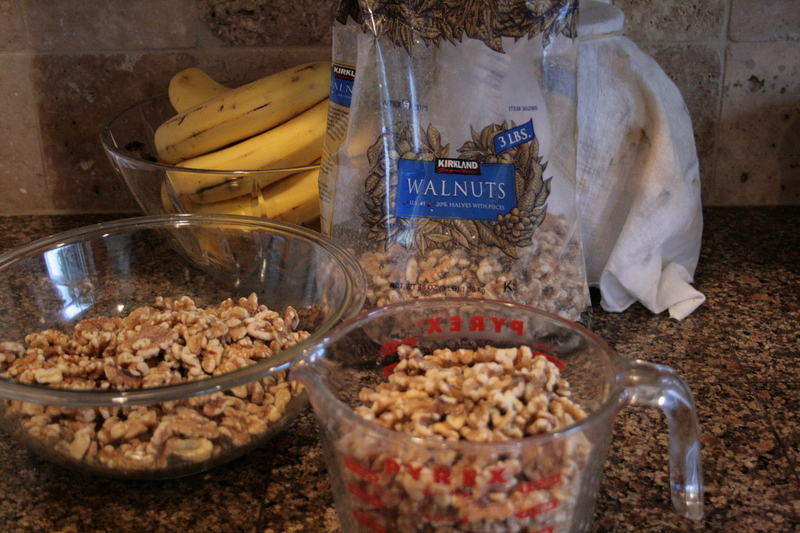 After the nuts have soaked 24 hours, drain off the water, and transfer them to baking pans. I try not to use aluminum cookware, so I use my glass pans. Place in an oven at about 120 degrees, to allow the enzymes to stay intact. 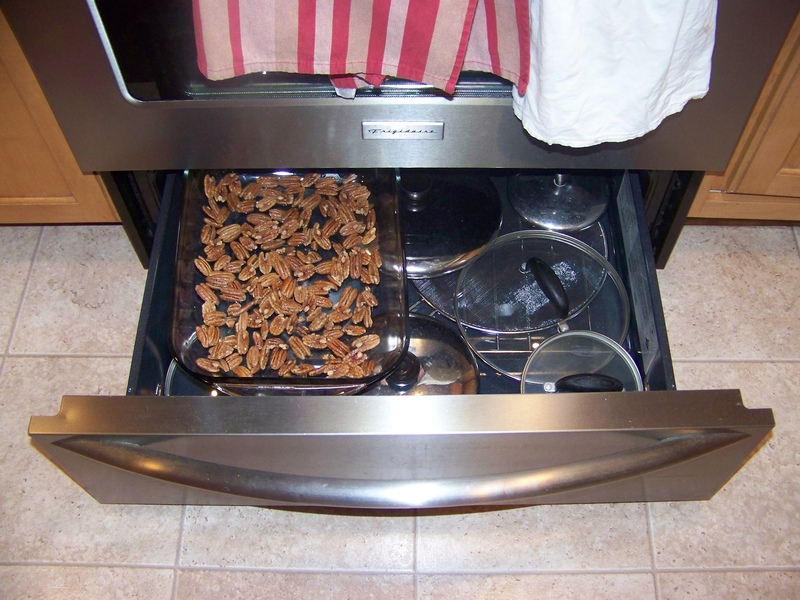 My oven only goes down to 170, so I use the warming drawer under my oven. Leave in there for about 2 days, stirring every 12 hours or so. When done, they will be crispy all the way through. Store in a sealed container. Use them in baking (which kills the enzymes, but there is still the benefit of having the phytic acid removed). They are also delicious on salads, or as a small snack.